Sump Pumps: The first type of pumps that are used by professional plumbing service providers to resolve the plumbing issues is sump pumps. This pump is basically used to remove the water accumulated in a low space called sump in offices and homes. The rain water or natural ground water enters this sump via perimeter drains of the basement waterproofing system. The sump pumps are used where basement flooding happens regularly and to solve the dampness. That’s the water is removed from an unwanted place to another place where there is a scarcity of water like dry wells. There are further various types available in sump pumps like battery back-up pumps, submersible pumps, and pedestal and column pumps. Whenever there is any residential plumbing repair or commercial plumbing problem, you can take help of the sump pumps to extract the unwanted water. Ejector Pumps: The second type of pump which is commonly used in plumbing services is the ejector pump. This kind of pump is used to eject the water that comes from our home’s or office system like washing machine or kitchen sink, or the waste water coming from the bathrooms. It is mostly used where the appliances are installed in the basement, below the level of sewer pipes. Due to which it gets tough to extract the waste water from such appliances. The ejector pumps provide support here and prevents the drainage system. Most of the ejector pumps are equipped with sensors that will alert the user to any technical issue but few may not. So regular inspection of these pumps is recommended to avoid bigger problems. 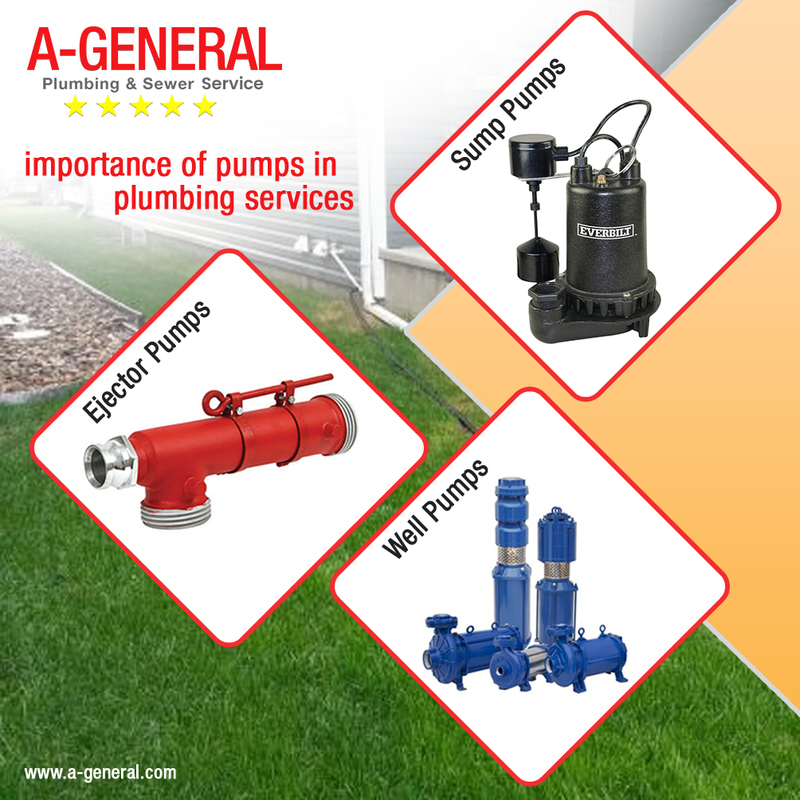 Well Pumps: As the name suggest here, well pumps are used to pump out the ground level water for your home or office. Not every place has higher ground water level. So it might not be easy to install well pumps at every place but still not that tough. There are different types of well pumps available in the market depending upon the purpose for which you require the same like convertible jet pumps, deep well submersible pumps, pressure pumps, and shallow well pumps. All these pumps can be installed in home or office to extract the ground level water for various purposes. So next time you are planning to purchase a pump related to some specific type of residential plumbing repairs or commercial plumbing issues, do refer to the types of pumps explained above and make your decisions wise.